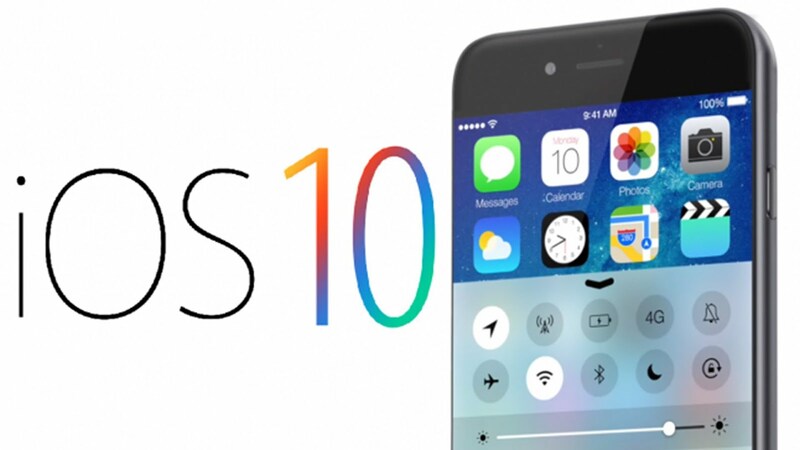 iOS 10 was first announced and previewed at WWDC 2016 in San Francisco. While Apple tends to completely overhaul its iPhone and iPad operating system once a year with new features. Instead the company regularly updates the current operating system throughout the year, adding new features and enhancements, as well as fixing problems and security issues should they arise. The latest version of the iPhone and iPad operating system is iOS 10, although there have been a few updates since its launch in September 2016. The current version is iOS 10.3.1. As of 4 January 2017, just under four months after iOS 10’s release, Apple reported that 76 percent of active iOS devices are running version 10, with 18 percent on iOS 9 and just six percent on iOS 8 or older versions. iOS 10.3 became available to download on 27 March 2017. It was a pretty brawny update with lots of new features. One new feature in particular will involve the entire file structure of your iOS device being converted to a new system, so before downloading and installing iOS 10.3, the advice is to “Back up your iPhone or iPad messages and photos” or risk losing all your data. The good news is that if you are short of space the update will actually have the effect of freeing up your storage. The reason for the storage miracle is that the latest iOS 10 update changes the fundamental file structure of your iOS device from the HFS+ file format to the new Apple File System. However, Apple File System and HFS+ aren’t compatible, so in the background while your phone or tablet updates to iOS, every file will need to be converted to the new format and once you have moved to Apple File System, you will not be able to revert back to HFS+ without completely reformatting your iPad or iPhone. This also means that if something goes wrong in the update process you could lose all your data. Find My AirPods: This new feature helps reunite you with your misplaced iPhone 7 wireless earbuds. Siri: Siri can now reveal international cricket game scores and allow you to pay bills, schedule rides with Uber and Lyft, check payments status and more. App Store: There are some changes in the app store, Developers can now respond to reviews publicly, and it is now possible to label reviews as helpful or unhelpful. Speed improvements: Another bonus of the iOS 10.3 update is that it can actually speed up your iPhone. Apple also introduced to an opt-in system to gather data from users to help improve a variety of its services in update of iOS 10.3. There is also a new Theatre Mode on the Apple Watch which will stop the Watch glowing every time you lift your wrist in the cinema. There are now lots of 3D Touch shortcuts that let you respond to notifications in clever ways without leaving the lock screen, and plenty of dynamic features that can happen in the notification itself. You can accept invitations, respond to messages, and stay in a messages thread, live, all on the lock screen. “Slide to Unlock”has been removed, and instead you’ll see “Press home to open”. The biggest change to Siri was that Apple opened it up to 3rd-party developers. This means that you’ll be able to activate non-Apple apps and functions via voice control. QuickType has also become more proactive at bringing in data from other apps and offering it as part of your responses. There is also support for multilingual typing – in other words, not in just one language or another, but in a blend of the two. You won’t have to switch keyboards to do this. Maps got a new design in iOS 10; like some of the other apps that have been revamped for this update, it looked broadly simpler and cleaner, and the controls are easier to access. You can sub-filter when searching for nearby businesses. Fitter for restaurants; then filter for seafood restaurants. Another Maps addition. If you happen to have a car with CarPlay you’ll be pleased to know that iOS 10 now remembers where you’ve left your car. Apple Maps now knows when you disconnect your iOS device with your phone from the car’s Bluetooth. Apple Music had quite a major visual redesign and to be fair, it looks good. It also gets onscreen lyrics for some songs. Better still, while taking Live Photos, your music will continue playing allowing you to have photos. Apple is finally getting serious about smart homes and the internet of things, launching a dedicated app, Home, for controlling all the appliances that are compatible with HomeKit. If you open up Home, you’ll see all your Home Kit-compatible accessories, you can easily control them all from one hub. iOS will convert speech into text so you can glance through a voicemail without having to listen to it. You’ll need to have a iPhone 6s or above, and your carrier needs to support Visual Voicemail. There are lots of updates to Messages, many of them clearly aimed at a young audience. You can make a message come up in ‘invisible ink’, which means it’s blurred out until the recipient swipes across it with a finger. Other effects include ‘Slam’, which makes the speech bubble briefly bulge outwards dramatically. You can now quick-reply to messages through a full screen pop-up. There is a whole set of new emojis added and a few that have been updated, such as the revolver pistol is now a green water gun. You can send handwritten messages; you can use Digital Touch and send your heartbeat. You can use full-screen visual effects on your messages so that the entire screen lights up with a garish laser show. If you’ve got an iPhone 6s, iPhone 6s Plus, iPhone SE or 9.7-inch iPad Pro, there’s good news: you’re going to get the option to take RAW images, meaning captured images will offer a lot more level of detail for those wanting to professionally edit the photos. The Safari app has received some love, with the mobile browser now having the ability to open unlimited tabs, whereas in iOS 9 you could only open 36 tabs. Within Safari, you can also play in-line videos without having to watch the video in fullscreen mode. This simple functionality allows you to continue reading the given article, while having a video play in the background.